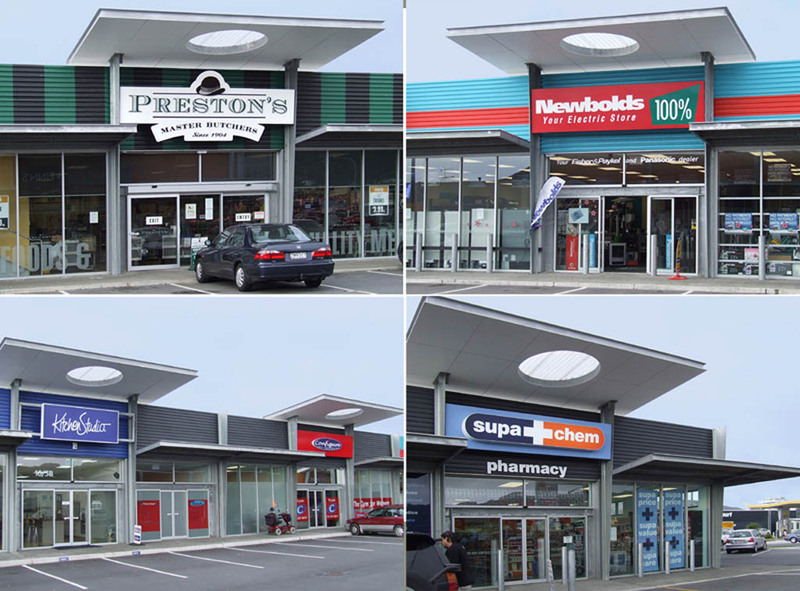 A 3,200 m2 retail development on an 8,525 m2 site with 144 car parks. An eye catching design with a high level of street appeal was deemed an essential requirement by the brief. The project involved re-using some aspects of existing buildings on the site including floors and some roof structure. The design was to be further enhanced by the addition of landscaping in the car park and on the street frontage.